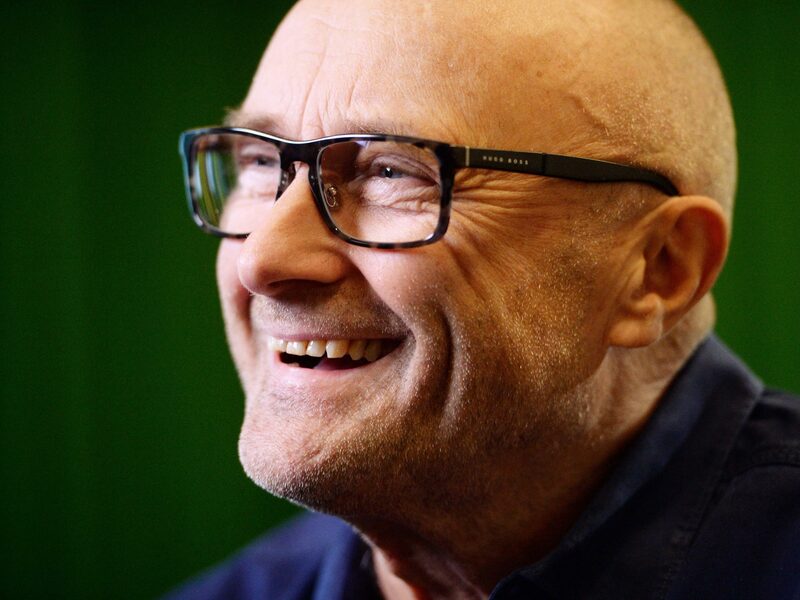 Phil Collins. Ah, the Genesis man who took over the lead singer’s role when Peter Gabriel left. The band moved gradually over to the middle of the road and then Phil had a run of solo albums….and became massive. First up is his debut In The Air Tonight which sounds very like a Genesis album, only a bit more introspective. The production is brilliant, you are simply waiting for the explosion of drums on the title track which arrive almost at the end. In fact the whole mood of the record is moody, and reflective – almost sad, which I love. Of course the best song is ‘If Leaving me is Easy’ with it’s gentle soothing melody suddenly erupting in real raw and bleeding emotion. Brilliant. But there are some more upbeat songs, very reminiscent of his Genesis stuff at the time. Then there is the superb closer, a re-imagining of John Lennon’s Beatle song ‘Tomorrow Never Knows’ which is as good as the original. Another fave track is ‘The Roof Is leaking’; a real kitchen-sink little drama. I loved this album when it came out and time has not diminished its appeal – every song is good, a true classic. He followed this two years later in 1982 with ‘Hello I Must Be Going’ another excellent but more upbeat record. A bit more commercial sounding and another resounding hit. This one sounds far more like the stuff that Genesis were doing in the mid-eighties. Best songs ‘I Don’t Care Anymore’, ‘Like China’ and the Supremes cover ‘You Can’t Hurry Love’. If the first album was Phil getting over a broken heart he sounded fully recovered now. The production was now very sharp; gated drums (which some say Phil invented) and moody waves of synths – but even so, and slightly dated as it sounds, I really like it. Phil’s third album followed on quickly No Jacket Required. Co-incidentally I started doing some bookkeeping for a restaurant of that name on Lavender Hill shortly after this. It was a disaster but that is a different story. This record is much of a muchness and I was getting a bit bored by both Phil and Genesis by now. Nothing new, nothing really exciting. Mind you, the lead single Sussudio is a cracker. But Seriously followed in 1989; a nicer record I think. A bit less bombastic, a few slower songs. Big hit ‘Another Day In Paradise’, ‘All Of My Life’ and I also like ‘That’s Just The Way It Is’; Phil was absolute pop royaity by now, but also suffering somewhat of a backlash from those who felt he had sold out. I am not sure – he was certainly a cocky sod, but should an Artist’s personality really affect the way you hear their music? Anyway, I do get fed up with the sneerers -if you don’t like someone – simple, don’t buy their records. But all in all a fine album. 1993 saw Both Sides; and how quickly it can all change. For whatever reason he produced a really dull record. Oh, the sharp production was there, the snappy drums, even the melodies are okay – but the magic is missing. Nothing else really to say. I actually stopped buying his records after this one. Though I did return for his final record (see later). Then quite recently I saw a box set of all his studio albums at a very reasonable price and in a fit of madness bought it. Ever the completist (though I have given up trying to own a copy of everything since The Beatles…hahaha) I felt I should get it if only to hear the two missing records. Previous PostThe Night Of The StormNext PostSo, Who is to blame?